The place to post airfare deals conducive to mileage running, including possible pricing errors and unusually low fares. Note: Weekly or other regularly posted fare sales are generally not considered unusually good deals. The place to post hotel deals conducive to mattress running, including possible pricing errors, unusually low rates, and best price guarantees. Note: Regularly posted deals from the chains are generally not considered unusually good deals. Sites with Points and Alternative Miles, including referral bonuses, congas and any other loyalty currencies. A forum for general restaurant and bar discussion. Business travel includes cell phones, computers and more. Does that mean just digital cameras are allowed on regular travel? What works where, when and why not. Share your travel photos and discuss the techniques and equipment you used to take them. From Ambien to luggage to travel insurance, if it's a travel product, we're going to talk about it. For all things electronic, please visit the Travel Tech Forum. Link to and discuss the latest travel news articles. it's all the news (for travelers) that's fit to read. Discuss other miles and points resources that can complement the FlyerTalk experience. This includes blogs, websites, seminars, and events and excursions for frequent flyers. A forum for news of free travel contests and sweepstakes that give away free miles or travel. Major mileage giveaways (Win 1,000,000 miles) may also be posted if no purchase is required. (Limited cross-posting is allowed to travel program forums.) This is NOT the place to post your request for Facebook votes or similar. Such will be summarily deleted. Share and learn all the secrets of winning bids on Priceline, Expedia, Hotwire and more. Discussion regarding the very best places to stay around the world as well as luxury trains, cruises, villas, private air charter, and luxury guide service. Forget the Love Boat. This travel option will really float your boat. Have an idea to make FlyerTalk better? Want to suggest a new forum? Improve a forum description? Post your thoughts here. The official get-together page for the FlyerTalk community as well as topics related directly to the general membership of FlyerTalk. FlyerTalkers have a long history of caring for others. This forum is for you to suggest causes in which you believe and seek support from your fellow FTers. You, too, can be a writer, by sharing your travel adventures with others. This is the home of some of the best reading anywhere in print (yeah, we know it's digital). Who is coming and going, when and where. Discussion of issues for the member-elected TalkBoard. Suggestions, new feature requests, and feedback for problems with the flyertalk.com board system. Losing Assigned Seats? Splitting up family? Interesting article - and yes, Oscar we are pissed at the world - but you know where much of the problem starts? Go check out who is sitting in the United president's office - you know, the cheap, nasty, jerk you hired? Property no longer a Marriott...will they offer any help/consideration? Does anyone offer lie flat service between SEA and JFK (or other NY airports)? P fare selected dates on GF. 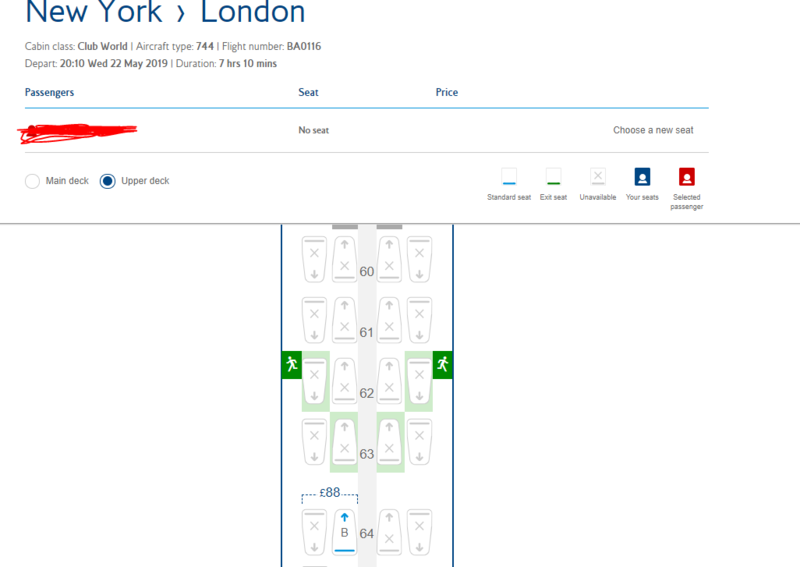 Good availability booking with UA codes through UA website, but for those who really want LX codes, there are limited dates on which it works on LX website as well. Possible to originate CDG for $15 more, from CDG all AC metal via YVR also available.